Let’s start by explaining how exhaust treatment works and then figure out how to make it work reliably. It can be done! We will leave out most of the technical terms and process, laying it out in an easy to understand way. There are minor differences across manufacturers but the concept is the same. The main goal is to get rid of soot (black stuff) and NOx (nitrogen oxides). NOx is bad for you to breath. We can convert it to something else, we can trap it and hide it somewhere, we can burn it inside the exhaust device and reduce it to ash (that sounds cool) or we can spray some ammonia (urea) into it and turn it into something else (nitrogen and water). This sounds cutting edge, but this technology has been around for decades in heavy industry. It just needed to get a lot smaller! Passive (CAT) — This uses heat from the engine and a catalytic converter to burn the soot, but this only works well in over the road applications where exhaust heat stays high. 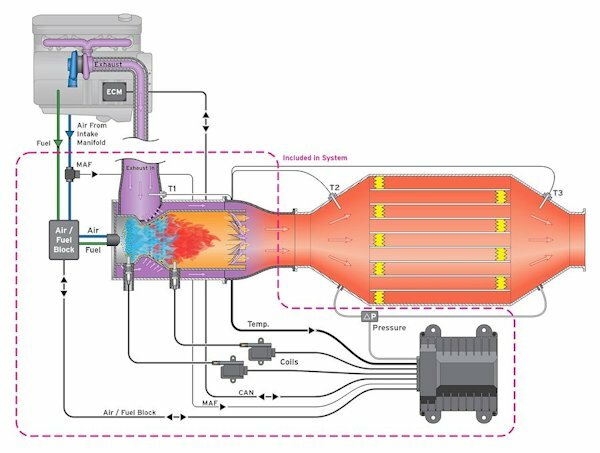 Active (Diesel Particulate Filter-DPF) — This method uses the computer to sense levels of soot in the filter (wall flow ceramic honeycomb) and triggering fuel into the muffler and igniting it to burn the soot into ash (regenerate or just regen). 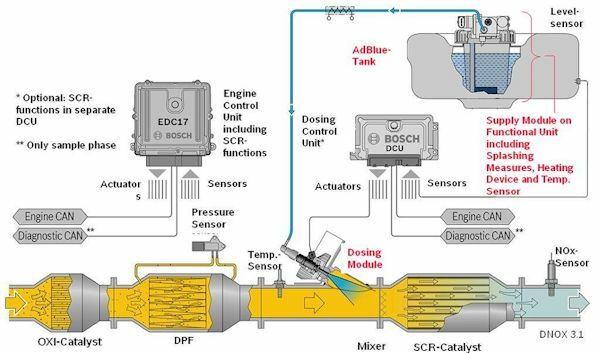 Selective Catalytic Reduction (SCR) — Now, we are talking using a dosing valve to inject ammonia into the exhaust stream. We use urea (Diesel Exhaust Fluid – DEF) because it is safer to handle and store. The exhaust is absorbed onto a catalyst and coverts NOx to nitrogen (N2) and water (H2O), neat! 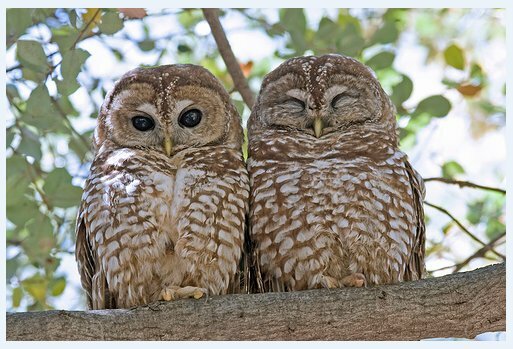 It’s now ready for application onto Spotted Owls. Denoxtronic system uses all three of the above exhaust systems together. Engine Oil — With engine oil stick to the manufacturers recommended oil. It must be low ash and low sulfur content and of the proper weight. Oil deposits will foul your system. 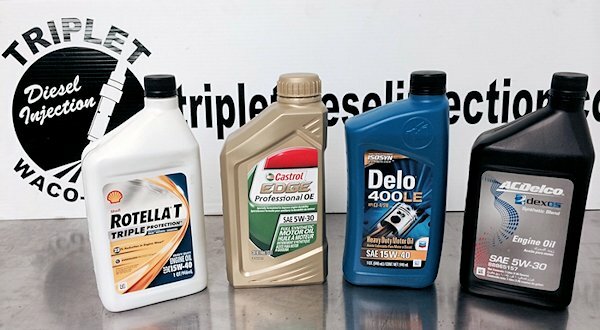 All diesels use API CJ4 category oils. Stock Horsepower — Do not use performance products that will cause over fueling; again, excess fuel will damage your system. Fuel Level — Keep your fuel tank above ¼ tank. DPF systems will not regen if fuel is low. EGR — Keep your EGR system clean; try to un-poop it every 100,000 miles. It is typical for EGR systems to accumulate sludge and carbon, causing poor air flow. Engine Light — Never drive with a check engine light on! This will affect your exhaust. Regular Service — Keep your vehicle properly serviced and your injectors fresh. This keeps everything clean and clear. Malfunctioning injectors will damage the system. 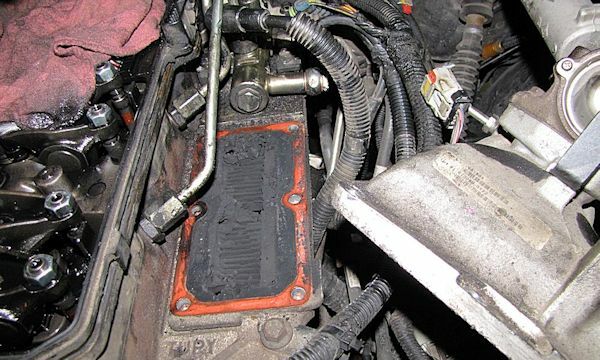 Engine Damage — If you have an engine piston or turbo failure, high oil consumption, coolant leaks into cylinders or high crankcase pressure, this can damage the system. Clean DPF system after any major engine repair or rebuild. Fuel Type — Only run ultra low sulfur diesel (ULSD). ULSD was invented for the sole purposes of not poisoning these new exhaust systems. Diesel with high sulfur content will damage your system. Also, don’t run any foreign substances in your fuel, such as transmission fluid, waste oil, non-fuel additives, etc…this will also damage your fuel system as well as your exhaust system. Do not run bio-diesel as it creates more ash. B-20 (20% bio-diesel) is the limit on diesel engines in North America at this time. Drive! — You will have problems if your car/truck only drives short distances. Most DPF systems require at least 10 minutes of highway driving to complete a regen cycle. If in doubt, have your mechanic force a regen with his scan tool. Now, we want you to go outside and hug your environmentally friendly diesel vehicle and realize that exhaust treatment is a good thing and well worth the effort of keeping it functioning properly. It’s legal, it’s cheaper to keep it working than to defeat it, it protects the vehicles resale value, and it does matter if your children’s children have clean air to breath.